Hot 5DGBC50 Five-axis Cooperating Vertical Machining Center - Nantong Hangzhi is the best 5DGBC50 Five-axis Cooperating Vertical Machining Center supplier in China. 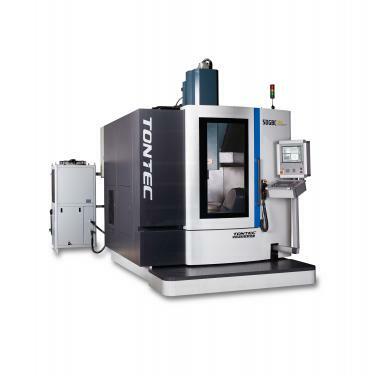 5DGBC50 is a gantry five-axis cooperating vertical machining center. This machine has X/Y/Z three linear movement CNC coordinates and A/C rotation motion CNC coordinates, which can realize five-axis cooperating. Each coordinate is able to automatically position. And after the machine completes once work piece holder, it can automatically carry out the process of milling, drilling, reaming & tapping etc. Because the machine can realize X/Y/Z/A/C five-axis cooperating, it is suitable for machining worm wheel, vane, complex mold and spatial cam that has complex curve surface. Owing to the automatic high precision positioning of the coordinate, we can directly drill and bore hole without moulds so as to save the process equipment, shorten the production cycle and thus reduce the cost and increase the economic benefits. What’s more, because of the high quality and high efficiency of the machine, it is widely applied in military industry, aviation, power generation, shipbuilding and other machinery industries.